How Should You Promote Your Residence to Buyers? Promoting a house to potential buyers sometimes can be difficult. Fortunately, there are lots of things that you can do to stir up interest in your residence. Now, let&apos;s take a look at three tips to help you promote your residence to buyers. Amazing curb appeal is essential, particularly for a seller who wants to differentiate his or her house from other available residences. If your house boasts outstanding curb appeal, it is likely to make a positive first impression on buyers. And as a result, buyers may be more likely to request showings to view your home in comparison to other available houses in your city or town. To upgrade your house&apos;s curb appeal, you should mow the lawn, trim the hedges and remove dirt and debris from exterior walkways. Also, devote time and resources to repair any damaged home siding. If you require assistance with home exterior enhancements, you can reach out to local contractors as well. In fact, these professionals can help you transform your home&apos;s exterior from drab to fab in no time at all. An engaging home listing makes it easy for buyers to learn about your home. It is clear and concise, and as such, enables buyers to determine if your home matches their expectations. To craft an engaging home listing, it often helps to make a list of your home&apos;s features. If you include relevant information about your house in your listing, you can teach buyers about your residence. In addition, you may want to include high-resolution images of your home in your listing. With high-resolution images, you can show off the true beauty of your house to potential buyers. If you create a home listing, you can share this listing on Facebook, Twitter and other social networks. By doing so, you can make it simple for buyers to learn about your residence. Don&apos;t forget to share your home listing with family members and friends as well. If loved ones can access your home listing, they can share it with others and help you promote your residence to as many potential buyers as possible. For a seller who is worried about generating interest in his or her home, you may want to hire a real estate agent. If you employ a real estate agent, you can receive expert assistance as you navigate the house selling cycle. A real estate agent understands what it takes to promote a house to buyers in any housing market, at any time. He or she will develop an in-depth plan to showcase your residence to prospective buyers. Plus, a real estate agent will help you analyze any offers to purchase your home and ensure you can optimize your house sale earnings. Use the aforementioned tips, and you can promote your residence to potential buyers and speed up the home selling journey. Let my 35+ years of Real Estate experience go to work for you. Being a Florida resident for over 50 years, a Licensed Real Estate Broker since 1975, and a CAM (Community Association Manager), I have seen many changes in the real estate profession. With proven success in residential sales and rentals, a former teacher, previous owner of a real estate Title Company and Broker-Owner of several real estate companies. I recognize the changing educational requirements, laws and marketing necessary to serve my client’s needs. Experience: Christine Snedaker has been a full-time professional REALTOR for over 30 years. 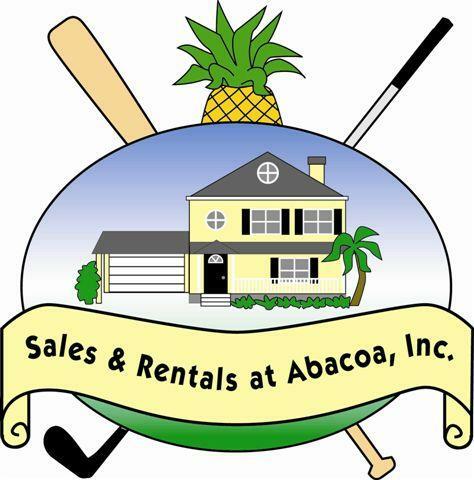 She is a full-licensed broker and the owner of Sales & Rentals @ Abacoa, Golf Club Realty, Inc. and formerly, Option Realty Network /Bluff’s Resales and Rentals, Inc. Christine specializes in Golf and Waterfront homes throughout the Northern Palm Beaches, including Jupiter, Juno Beach, Tequesta, North Palm Beach and Palm Beach Gardens. Honors: Christine is a consistent multi-million dollar producer who has earned a Lifetime Membership in the Million-Dollar Club. Christine has also been awarded the prestigious CRB (Council of Real Estate Brokerage Managers) Award. Christine earned the e-PRO designation sponsored by the National Association of REALTORS for excellence in internet technology. Memberships: Christine is a member of the Jupiter/Tequesta/Hobe Sound Association of REALTORS, the Florida Association of REALTORS, and the National Association of REALTORS. All of these associations uphold a strict code of ethics and ensure that their members are up to date on the latest marketing techniques and legislation affecting real estate. Outside of real estate, Christine is Past Commodore of the North Palm Beach Yacht Club, and active member of the state Florida Commodore’s Association.